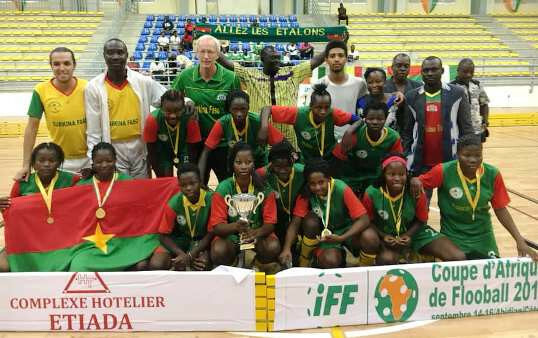 Nigeria and Burkina Faso won the respective men’s and women’s finals as the inaugural Africa Floorball Cup concluded in Abidjan in Ivory Coast today. The men’s gold medal match saw Nigeria beat Burkina Faso 3-1 at the Palais des Sports de Treichville. Also contesting the men’s tournament were hosts Ivory Coast and Togo. In the women’s final, Burkina Faso defeated Ivory Coast 5-0. They performed strongly throughout the tournament, which also included participation from Mali. The event was played using the urban floorball concept. Teams played four versus four, along with goalkeepers, on a modified-sized court. Each match was half an hour long with two halves of 15 minutes.